Exhaust Accessories There are 15 products. Premium loose 'Boa' muffler packing. VIPER EXHAUST PACKING SHEETS - 350MM X 1M Ideally suited for repacking non-uniform shaped cans such as oval and tri-oval, which can be tricky to repack correctly with standard materials. 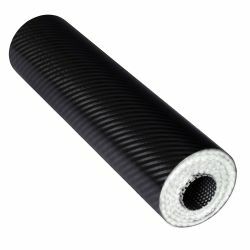 VIPER EXHAUST PACKING SHEETS - 400MM X 1M Ideally suited for repacking non-uniform shaped cans such as oval and tri-oval, which can be tricky to repack correctly with standard materials. 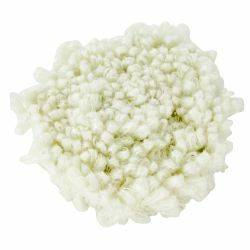 VIPER EXHAUST PACKING SHEETS - 450MM X 1M Ideally suited for repacking non-uniform shaped cans such as oval and tri-oval, which can be tricky to repack correctly with standard materials. VIPER DB KILLER FOR E-HOMOLOGATED CANS Designed for use with Viper oval and round cans, this angled dB Killer simply bolts into the end of Viper cans to reduce noise emission. 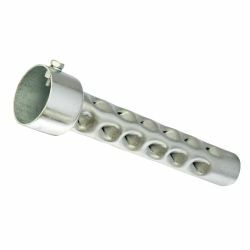 VIPER BAFFLE KIT BS Approved easy to install / un-install universal Viper can baffle, inserts into end selection of straight-through cans. 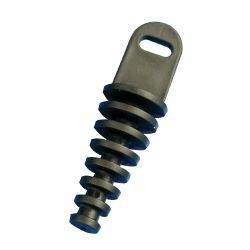 SWIVEL EXHAUST SPRINGS 57MM (2PCS) 57mm Swivel exhaust springs supplied in pairs.Other lengths available, 75mm, 83mm and 90mm, see relates products listed below. SWIVEL EXHAUST SPRINGS 75MM (2PCS) 75mm Swivel exhaust springs supplied in pairs.Other lengths available, 57mm, 83mm and 90mm, see relates products listed below. 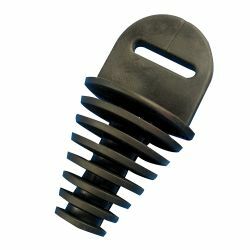 SWIVEL EXHAUST SPRINGS 83MM (2PCS) 83mm Swivel exhaust springs supplied in pairs.Other lengths available, 57mm, 75mm and 90mm, see relates products listed below. 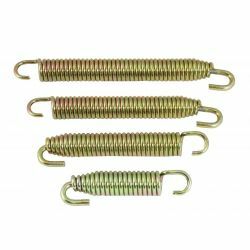 SWIVEL EXHAUST SPRINGS 90MM (2PCS) 90mm Swivel exhaust springs supplied in pairs.Other lengths available, 57mm, 75mm and 83mm, see relates products listed below. EXHAUST BUNG SMALL 2 STROKE Exhaust Bung. Protects silencer and engine by stopping water running down through the exhaust during washing. EXHAUST BUNG LARGE 4 STROKE Exhaust Bung. 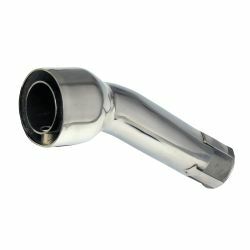 Protects silencer and engine by stopping water running down through the exhaust during washing.